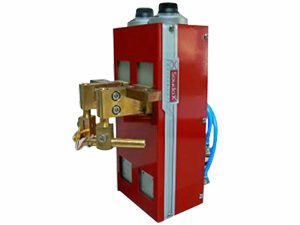 Cost-effective, accurate and robust, TS 1 to 10 daN heads are ideal for single, low-thickness welds. This range of heads enables microswitch control of the trigger force via a rotary vernier and a tared spring. Electrode holder adjustable in three dimensions. Lower arm removable to enable installation of a workpiece holder. Trigger force controlled via rotary vernier and tared spring. Triggered by microswitch once the set force is reached. Direct current connection to the electrode holder. 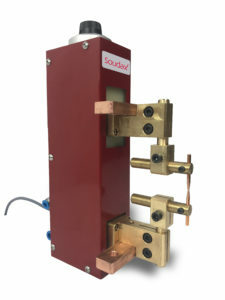 Solenoid valve and proportional valve (optional).